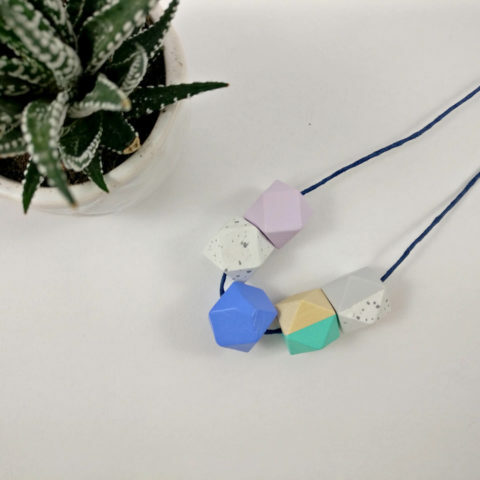 Each geometric necklace is made up of 3 x 20mm wide and 2 x 16mm wide faceted wooden hexagon / cube beads that I have hand painted using acrylic paint, taking inspiration from latest fashion, items that I fall in love with and from the seasons. 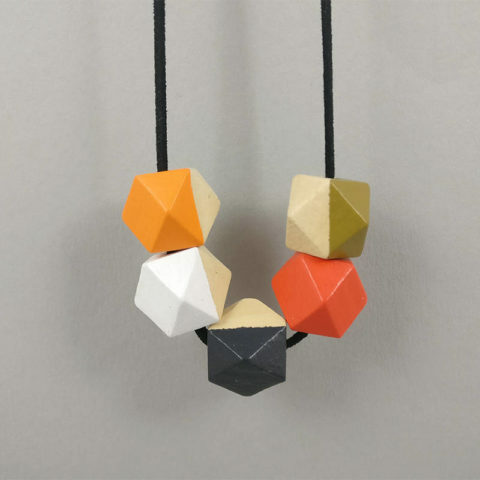 The beads are varnished for a slight shiny finish and the cord is left adjustable with a knot you can move to make the necklace bigger or smaller. 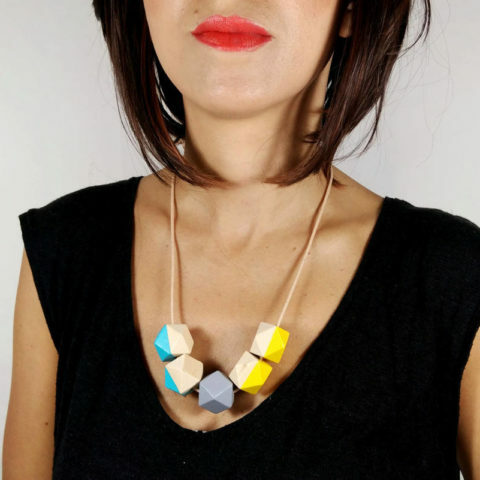 Cord is approximately 75cm long (including the extra cord to adjust the necklace). 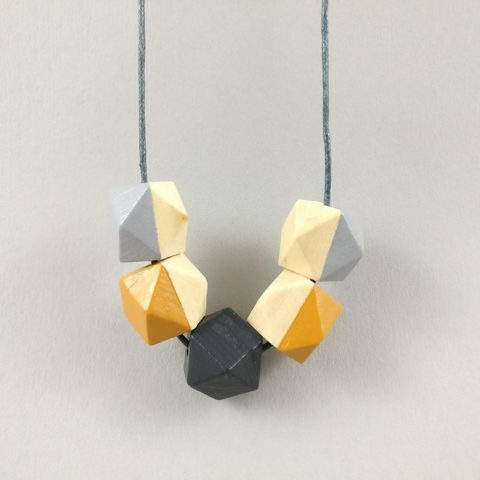 All these gorgeous Statement necklaces (called Kode Cubes) are bespoke and hand made, so they are unique but might bear some slight imperfections. They make perfect gift for her!